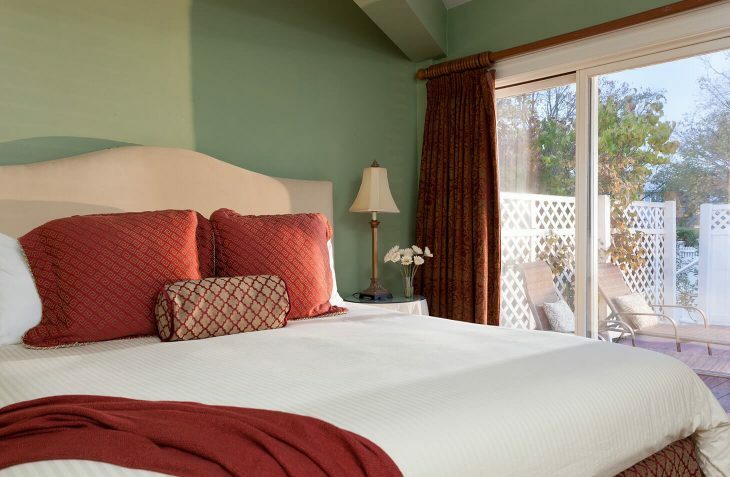 Room 4 at our bed and breakfast near Salem, MA is a first floor luxury suite that fits the needs for almost all of our guests. It features a king bed with a lush velvet upholstered headboard with an antique brass nailhead trim. With a loveseat sofa in the bedroom and then a private patio with ample outdoor seating, it is the perfect accommodation for those looking to make the most out of their room during their visit. 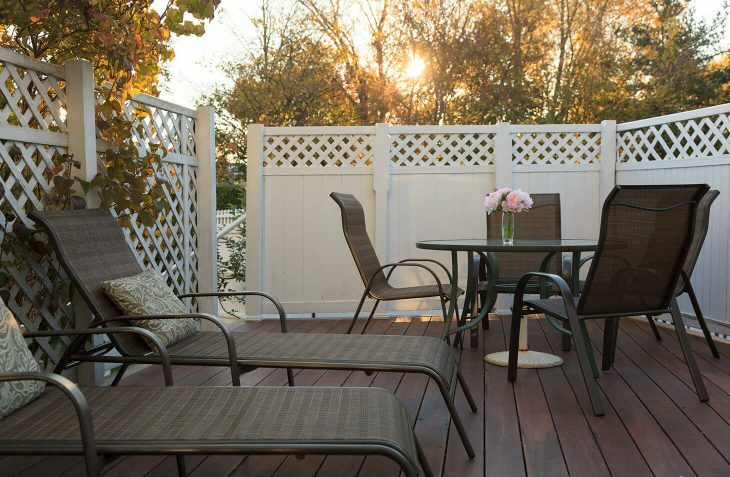 During Summer & Fall Months, this room’s private patio has two lounge chairs and one outdoor dining table set. 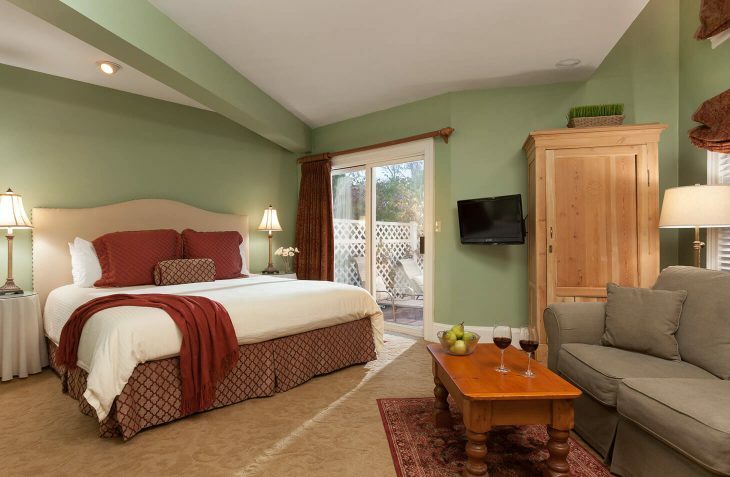 The bathroom is equipped with a large Jacuzzi tub perfect for a romantic evening in.